The story of Texas has long been told in music and song ─ from the early days of cattle drives on the wide open plains and cowboy crooners in small town dancehalls to today’s pure and eclectic sounds heard in music hubs all across the state. A fusion of blues, cajun, conjunto, country, gospel, jazz, ragtime, rock and roll, zydeco and more, Texas music is as big and broad as the horizon is wide. And names like Gene Autry, Buddy Holly, Janis Joplin and Selena are recognized world round. To celebrate the communities that have supported the Lone Star State’s place in American music history while also creating a fun new way to enjoy your favorite songwriters, performers and music venues, the Texas Music Office has launched a curated series of self-guided Texas Music Trails to explore and experience the Texas music scene. 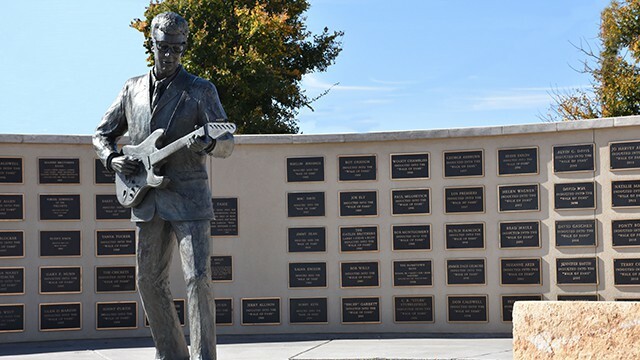 Travel with us and explore our first music trail – the Panhandle Plains Region. More music trails will continue to be released. Let us know what you’d like to hear next. Remember to caption your social posts with #TexasMusicTrails!